Find Local real estate market news in San Mateo County and San Francisco Bay Area. 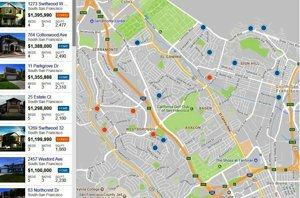 Property prices and trends in San Mateo County, the San Francisco and Silicon Valle, and across the Santa Clara And Alameda area. Written by Mayra Espinosa Realtor Broker Associate with Realty One Group Alliance in San Mateo, CA. Pacifica California is a coastal city located in the San Mateo County peninsula. It is a beautiful city to live in if you are looking for a charming and quiet city to call home! Usually, there is not always much traffic during regular hours. If you live in the back of Pacifica, you will find some traffic during peak traffic hours. Once you connect to Freeway 1 and past the Valley Mar area, the freeway is usually not that busy. In the upper part of Pacifica, you will not find a lot of traffic. Right bordering Pacific Manor neighborhoods, from there it is easy to connect to major highways such as Highway 1, 280 North to San Francisco or 280, 101 South of San Mateo County, Silicon Valley or San Jose. 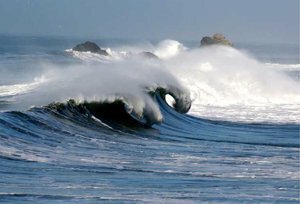 Pacifica is located right on the Pacific Ocean coast. Our sounding neighboring cities are City of Daly City, South San Francisco, San Bruno, and Montara. They are also just minutes from San Francisco! If you need more space or are thinking of buying a bigger house or condo or are thinking of looking for smaller property, Pacifica could be a good alternative and a place that you will love! 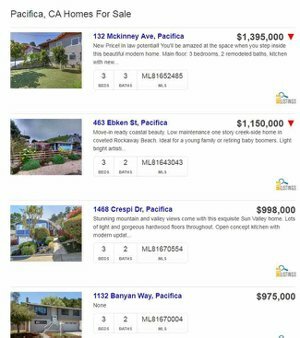 I almost forgot to mention that the prices of the Pacifica house are very reasonable compared to other Ciudades in San Mateo County. Spacious 903 Sq. Ft built in 1984, 2 Bedroom one Full Bath Townhouse style with separate entrance to the Unit. First level condo. No Stairs!! Small 20 units complex located in desirable neighborhood. Well maintained, move-in condition. Located on the sunshiny side of South San Francisco. Low monthly association fee that covers insurance, water, garbage, and exterior maintenance. Parking: One designated covered carport and a parking permit tag for visitors both in the back. Extra features include convenient in-unit hook-ups for washer/dryer and secured laundry room. Located within walking distance to SSF Bart station, Safeway, Wells Fargo Bank, El Camino Real, transportation, Kaiser and grocery shops. 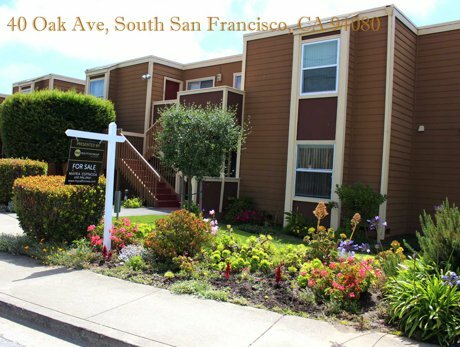 When Search for South City Home You might also want to browse other homes for sale in South San Francisco, CA that were just added to our property Database recently. Call or Text (650) 273-6448 to speak with an agent at Mayra Espinosa Team – Mayra Espinosa Realtor Broker Associate.